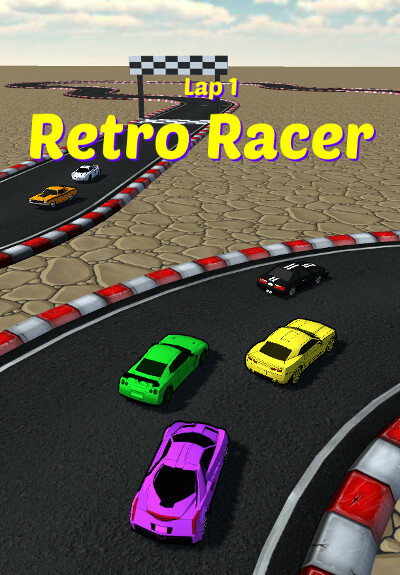 Retro Racer, Fantastic sports car racing from your arcade days. 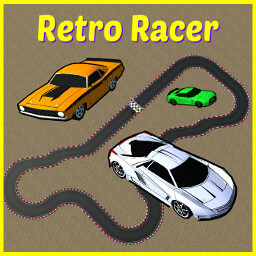 Race around fabulous tracks in any of 9 stunning sports cars. 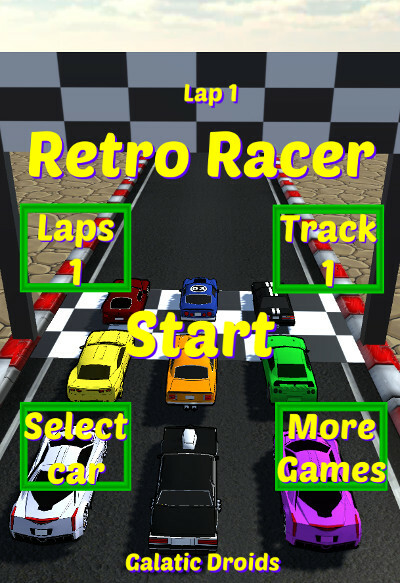 Can you be the first across the finish line and take home the trophy ? But do stay on the track, you'll get penalty points for cutting corners. The cars are indestructible, the other drivers know this so you may find they will try to push your around, be firm hold your line. Perhaps give the other cars a little nudge back, remember rubbing is racing! 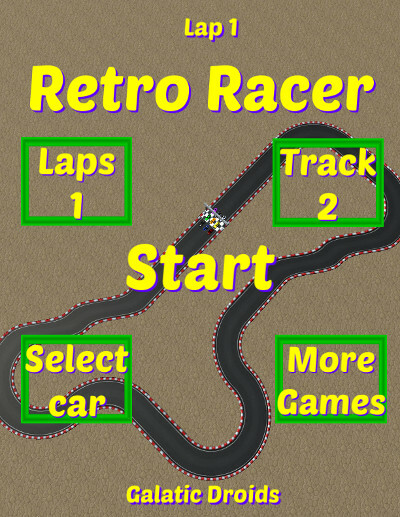 You can select pole position, or start a bit further back for more of a challenge. Either way you'll need to outrun the opposition to take home the grand prize.